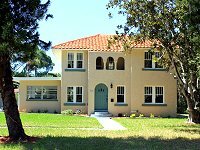 This Month ONLY, we will be meeting at a beautifully restored Mediterranean style 2 story home orginally built in 1925. It is a 3 bedroom, 2.5 bath, 2,200 square ft home with a 2 car garage. This renovation was just completed by Lisa Patella or Premier Pinellas Residential, LLC. Please join us on Wednesday, October 18th at 1:00PM for the Tampa REIA Onsite Renovation Group (ORG) to learn all about finding, funding, fixing, and flipping houses for big profits. This month’s meeting will be held at a renovation project located at 726 Lake Maggiore Blvd S, St. Petersburg, FL. Come check it out!